We are so pleased to be part of the global EFT network. BEFT Community became affiliated with ICEEFT last year, six years after Gail Palmer led the first Externship in Britain. Since 2009, many more Externships and Core Skills programmes have been facilitated by Gail Palmer, Scott Woolley and Sue Johnson. Training days on special topics including affairs and EFFT have also been offered. Hold Me Tight® workshops have taken place over the last year, appreciated by both therapist and client couples. In July 2016, we had a very successful first EFT International Summer School in London where we hosted Gail, Scott, Rebecca Jorgensen, Zoya Simakhodskaya and delegates from 17 countries. These EFT programmes have all been independently organised by individuals and professional bodies in the counselling and therapy world in Britain, such as Marriage Care, Bowlby Centre, Tavistock Relationships (formerly Tavistock Centre for Couple Relationships) and the Scottish branch of the Association for Family Therapy and Systemic Practice. The BEFT Community is grateful to everyone who, through their hard work and enthusiasm for EFT, made these trainings possible. Because of their efforts, local peer study groups and supervision groups have evolved, feeding a growing need for ongoing support as therapists across Britain advance their understanding of and skills in, EFT. As a community, our aim is to enable EFTers throughout Britain to connect with each other and progress as practitioners. We are dedicated to raising awareness so that EFT becomes more well known here in Britain. Through our website and growing therapist directory we are enabling couples to find out about EFT and connect with an EFT therapist in their locality. We have gained momentum since early 2015 when a core group of EFT therapists first came together with a shared passion for EFT as a therapeutic approach, and a related common belief that EFT will be of value to couples and families across Britain. We recognise that we have our own need for attachment and connection, and one way of meeting that need was to form the BEFT Community. Furthermore, we perceive that by pooling our collective resources we will be more effective at reaching out to those we wish to support. Currently in Britain we have six Certified EFT Therapists and three of these are Certified EFT Supervisors. We actively encourage membership from therapists whether they have just become interested in EFT or are already certified. All members have the opportunity to join the core team of volunteers who are working diligently to develop the BEFT Community and enable us all, individually and collectively, to achieve our potential. Our first national event will be held in London in November — a day of presentations on topics such as Sexual Dysfunction, EFT Certification, and BEFT Community Developments, as well as an opportunity to network with fellow members. 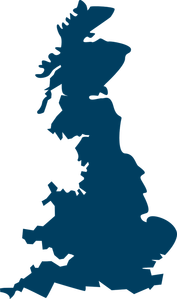 As Britain is such a widespread area, we’re planning more events in different parts of the country to cater to our membership across Wales, Scotland and England. Our website www.beftcommunity.org is our base and we are steadily expanding our range of information for the public and EFT resources for therapists. The website is also a place where members can find details of local groups for peer support; we’re working on linking these with each other as well as encouraging the start-up of more groups so that we expand as a vibrant, connected community. We feel very much in the early stages of our community and look forward to continuing to contribute to the EFT Newsletter with articles and updates.